THE INTERRUPTERS’ NEW ALBUM KEEPS IT LOUD! 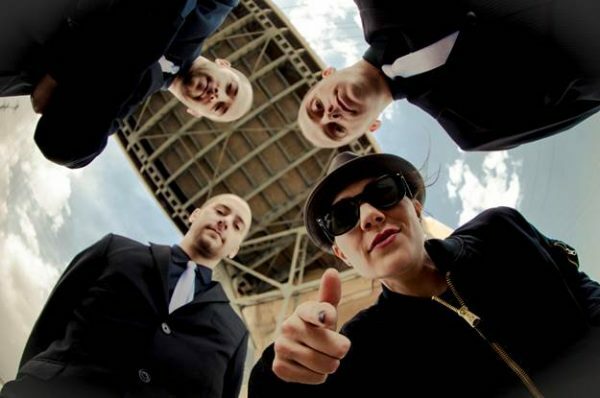 L.A. ska-punks THE INTERRUPTERS return with their second album next month, and you can check out a track from it with Vive Le Rock! ‘By My Side’ is the first of 14 brand new cuts on Say It Out Loud, which was produced by RANCID’s Tim Armstrong at his own studio, as well as BLINK 182 drummer Travis Barker’s Opra Studios. The album’s scheduled for release through Hellcat Records on 24 June. It’s available to pre-order here. “Over the past couple years we got to know ourselves so much better as a band, and that gave us a lot of room to really grow on this album,” notes front-woman Aimee Interrupter. The band is about to cover the U.S. with the Van’s Warped Tour, which kicks off in Dallas on the album’s release date. ‹ STEVE JONES TO PUBLISH AUTOBIOGRAPHY!